As the proud representative of Johnson Space Center (JSC), I understand the importance of human spaceflight to Americans. That's why as the Chairman of the House Space Subcommittee on the Science, Space, and Technology Committee, I have worked hard to pass legislation to reauthorize NASA, restore human space flight as NASA’s top priority, and advance commercial space by shepherding the Commercial Space Launch Act Amendments through Congress and into law. A priority for me is ending our reliance on the Russians for getting astronauts to the Space Station, so that we can launch American Astronauts on American rockets from American soil. It is time that the U.S. reclaims its rightful place as the world leader in human spaceflight and exploration. This will bolster thousands of high-tech American jobs, build a stronger economy, advance technological leadership, and strengthen our nation’s industrial base. This is imperative not only for our economy, but our national security as well. In March of 2017, President Trump signed into law the NASA Transition Authorization Act of 2017 (S.442), creating certainty and long-term stability for NASA and America’s human space flight programs. I am proud that this bill includes continued support for the Space Station, the Space Launch System vehicle, the Orion crew capsule and the commercial crew and cargo programs. 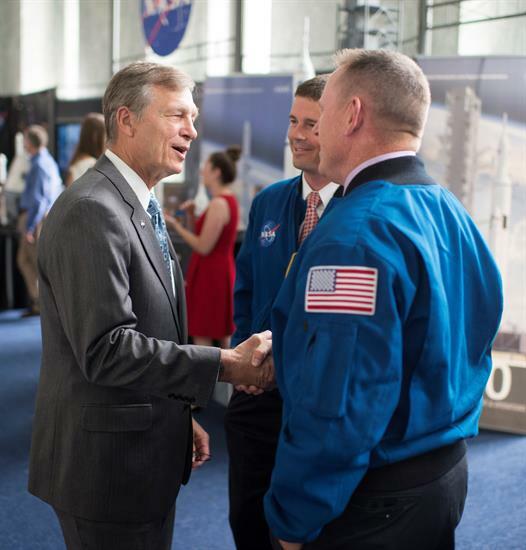 In addition, my TREAT Astronauts Act was included in the new law and will ensure that our nation’s astronauts receive support for medical issues associated with their service while also advancing research in long-term space mission. Serving JSC, the people who work there, and their mission is one of my top priorities in Congress. Our investments in human space flight advance our technology development, maintain our economic competitiveness and contribute to a stronger American economy. I believe that the American entrepreneurial spirit can be propelled forward beyond our world and into the final frontier.